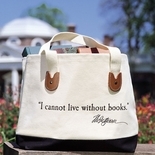 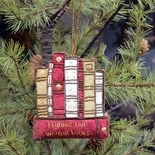 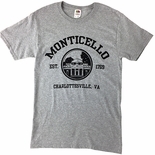 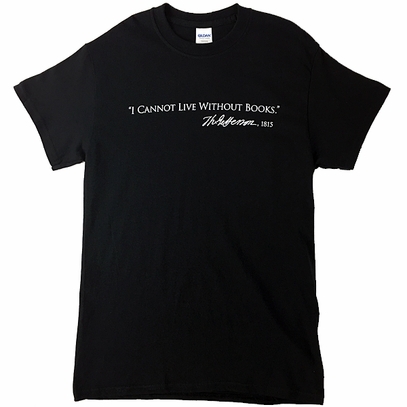 Jefferson’s now famous quote “I cannot live without books” is featured on one of our most popular T-shirts. 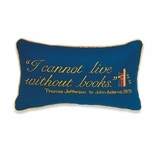 Printed on solid black with Jefferson’s signature under the quote, it is made of 100% cotton. 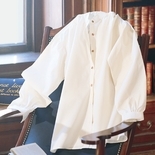 Please select size: S, M, L, XL.